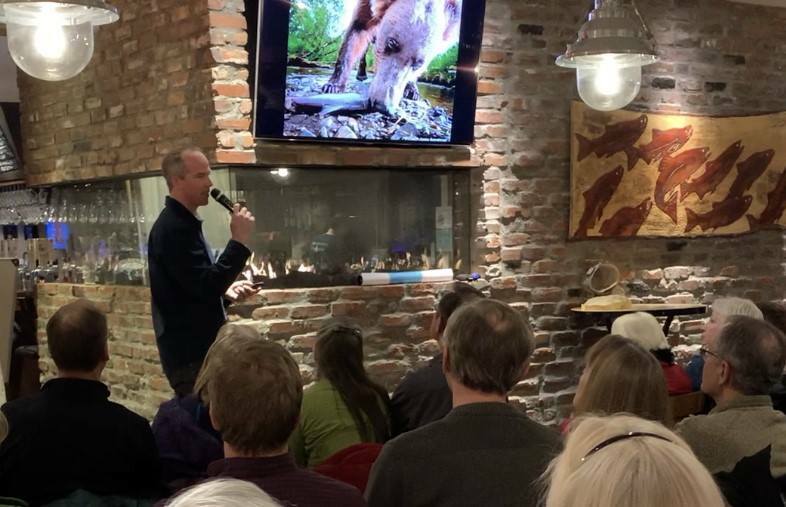 Join us on April 2 at the Flathead Lake Brewing Company for our next Science on Tap-Flathead event! Ryan Richardson and River Design Group are working on behalf of the Kootenai Tribe of Idaho to develop new restoration techniques that mimic naturally created floodplain features to help restore populations of Kootenai River White Sturgeon and Burbot to the Kootenai River. Presentation begins at 6pm; doors to Imperial Room open at 5:45pm. Your $5 tax deductible donation ticket reserves your seat in the Imperial Room. From 5 to 8pm the day of Science on Tap, $1.00 of every pint sold will be donated to the Flathead Lakers & the Flathead Lake Biological Station. Click here to reserve your seat.